When should you swap your winter tires? Leaving winter tires on can cause all kinds of issues. Switch to all-season or summer tires once temperatures rise to above 7°C. Winter tires are great for handling the cold and snow but their softer rubber compound can be a problem once the weather warms up; here's a breakdown of the reasons why. As you probably guessed, softer rubber means more easily worn. 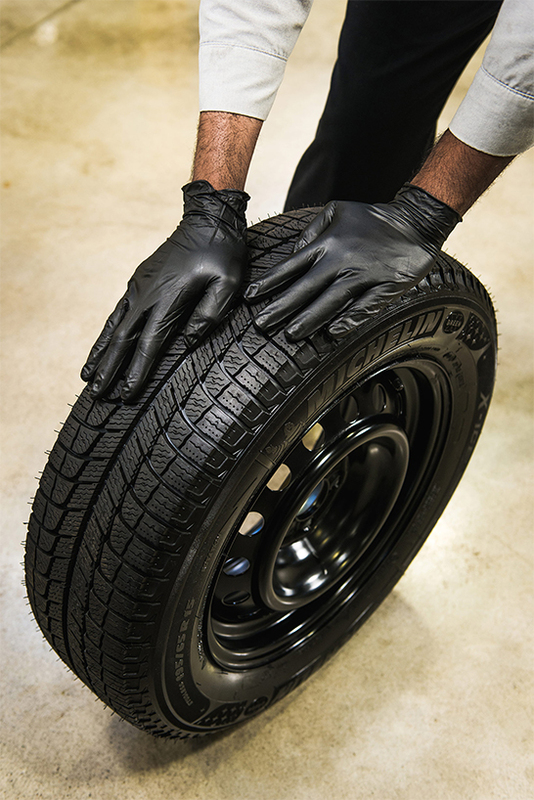 When temperatures get high enough the rubber heats up to the point where a blowout becomes more likely. Softer rubber means more flexible sidewalls, which results in steering response as well as overall handling to diminish. When winter tires get too warm the softer rubber on the pavement creates more drag and your vehicle has to compensate by burning more fuel. The tread on winter tires is designed to navigate snow and ice, and is not adept to handling wet road conditions. Summer and all-season tires are designed to channel water while allowing for maximum surface area on the road, meaning better handling, grip and stopping distance. Not only is switching tires a money saver, it could be a life saver. Toyota is the place to be for switching tires, with our Toyota Price Match Promise going on right now you can't go wrong.